New York Democratic-Socialist Alexandria Ocasio-Cortez has revealed how she intends to eliminate our borders, take away our guns, punish “the rich,” and implement her destructive global warming “Green New Deal” policies, all without passing a single law through Congress. Along with fellow radical leftists, AOC is trying to shame the lenders into pushing their socialist policies for some of the country’s most divisive issues: climate change, gun violence, and immigration. The reason the left has resorted to this public shaming campaign is that, at long last, they’ve realized they will not get Congress to implement socialism, and they have to find a different way. That’s why the extreme leftists are doing an end-around Congress and instead, begun to attack banks for providing loans to businesses that disagree with their socialist goals. AOC, the future of the Democratic Party, along with her leftist buddies in the House are beginning to systematically embarrass banks to stop funding industries that go against her socialist goals. Oh, she isn’t going to do with the laws, mind you. She is going to do it by forcing the banks to bend to “public opinion” (i.e., her pro-socialism campaigns) to summarily cut off all conservatives who dare try to make a living and ultimately create another banking crisis. The radical, anti-American New Yorker even noted that she plans to go around the legal process. She recently announced one measure of the success of her extra-legal campaign. The full plan is to force banks to close the accounts and ban all Americans who don’t agree with AOC’s Socialism. 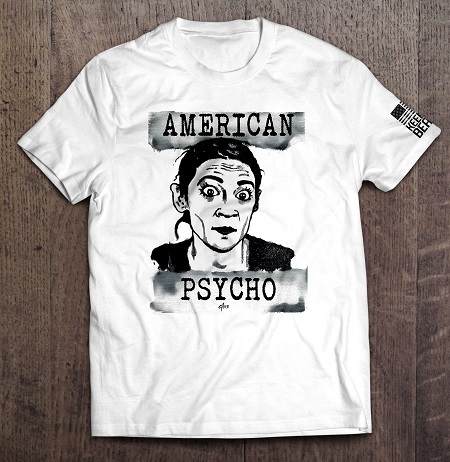 AOC and the extremists who want to change what America stands for, want to make belief in her socialist plans a prerequisite for being “allowed” to participate in the economy or to hold a job. Let’s hope these Senators are successful. Because when Congress pushes banks to implement their leftist policies, disasters happen.